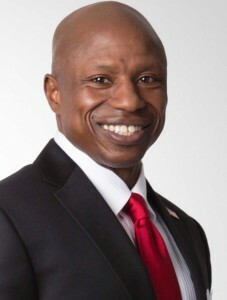 Need a yard sign or bumper sticker to show your support for Darryl Glenn? Those will be handed out a rally for Glenn Saturday at 1 p.m. on the west steps of the State Capitol, as supporters also rally to kick Bennet out of office. The Conservative Campaign Committee along with numerous other organizations and supporters are hosting the rally. “Michael Bennet was wrong to support the Iranian nuclear deal. He was wrong to support the disastrous ObamaCare plan. Bennet was wrong to support the Gang of 8 amnesty for illegal immigrants. Bennet has repeatedly harmed the interests of the people of Colorado and this nation, and it’s time to retire him from office,” declared Selena Ramos, Vice Chair of the Conservative Campaign Committee. In addition to Glenn, speakers include Rep. Perry Buck, State Senator Vicki Marble, Derrick Wilburn, vice chair of the Colorado Republican Party and chairman of the Rocky Mountain Black Conservatives, Colorado Issues Coalition Founder Regina Thomson, Colorado Union of Taxpayers, KNUS radio host Jimmy Sengenberger, Tony Sanchez, executive director of Freedom For Education, State Sen. Laura Woods, recording artist Diana Nagy, and numerous others. « TRUMP SURGE: Trump Rallies in Colorado Monday, Where is Hillary?